These release notes describe functionality that may not have been released yet. To see when this functionality is planned to release, please review What’s new and planned for business intelligence. Delivery timelines and projected functionality may change or may not ship (see Microsoft policy). How Azure Machine Learning functions are exposed in Power BI, in a low-code way, is a key collaboration feature between data scientists and analysts. 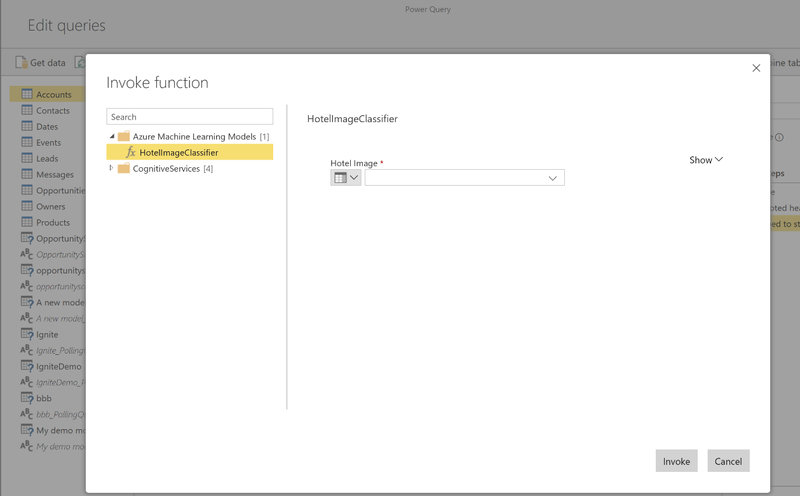 Once a Power BI user is given access to an Azure Machine Learning function, the function will be automatically discovered and shown to that user in Power Query Online and in the Power BI Desktop, with the function parameter requirements.